It's kind of a weird purchasing decision you're making. Aren't you sort of hoping for bad weather on your drive home? Everyone deserves a safe, happy, and fulfilling life in our brief time on this planet. That's a pretty hard point to argue, right? Sure some people go above and beyond to make you think otherwise, but at face value (Get it "face value" because we are selling facemasks.) everyone deserves that much. But one of the things that makes people happy (especially people that check out our Neoprene Facemasks) is getting a good deal and a value for their money. 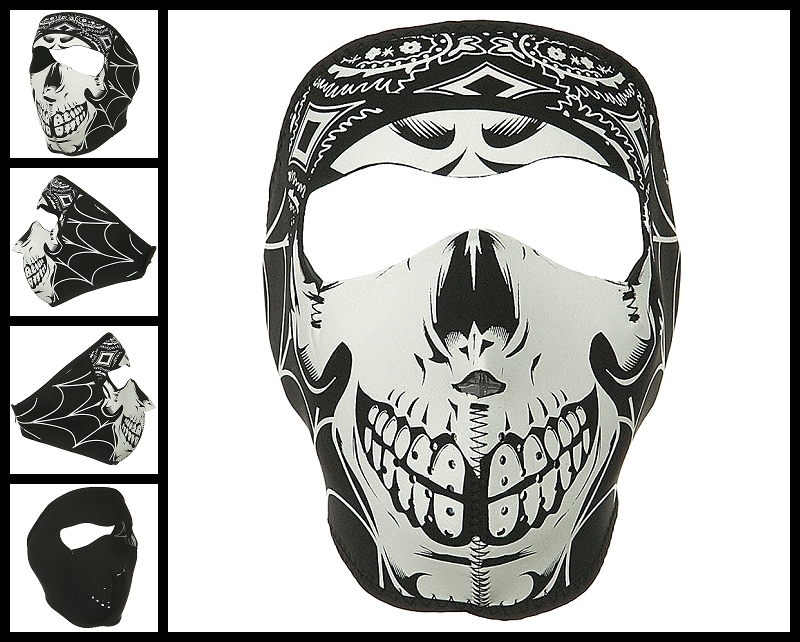 So what happens when you buy something like this Lethal Threat Gangster Skull Neoprene Face Mask? Good business practices mean we should hope you'll use the water resistant neoprene fabric to keep our face dry and warm when you are caught out riding your motorcycle in the rain. But on the other hand, it seems pretty terrible to wish that our customers get caught in the rain. That's certainly not what we set out to do. So should you buy this and hope you never use it, thereby wasting your money? Or should you buy this and pray for flash blizzards from here to eternity? Well sure, you could not buy it, but that doesn't really help anybody.